Holidaymakers are being urged to check whether they are travelling with valid documents after it emerged that 4.5 million European Health Insurance Cards (EHICs) are set to expire in 2014. Travellers with valid EHICs, which were launched eight years ago as a replacement for the E111 form, are entitled to receive the same level of care in a medical emergency that the residents in the country of travel would. This applies to the 27 member states of the EU, as well as Switzerland, Liechtenstein, Iceland and Norway - all the countries that are part of the European Economic Area (EEA). However, it does not apply to Turkey, which is not currently a member of either the EU or EEA. Depending on the country people holiday in, they may receive their treatment for free or at a significantly reduced cost. Travellers with EHICs are, however, also being urged to take out travel insurance as the cards should be seen as an addition to travel cover rather than a replacement. People planning a holiday who suffer from an ongoing health condition are urged to arrange pre-existing medical travel insurance. 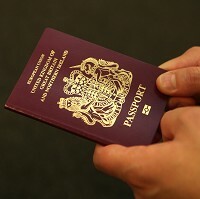 Having a valid EHIC can work in tandem with travel insurance, having a positive effect on any medical claims made abroad. A recent poll by Gocompare found that the vast majority of single-trip travel insurance policies (92%) are charging an excess when travellers make a medical claim. However, nine in 10 of these policies (90%) would waive the excess if the insurance holders had used their EHICs correctly while abroad. The same was found to be true for multi-trip travel insurance policies. The survey also found that more than half of holidaymakers (54%) mistakenly believe they are entitled to free medical care in every European country if they have an EHIC card, while 6% thought they can get free care around the world with their card. A spokesman for Gocompare stressed that the level of medical care travellers receive varies from country to country, and holidaymakers should not expect the same treatment as in an NHS hospital or at their GP back home.